Michael Hogan graduated with First Class Honours from NUI, Galway. In his undergraduate years he was the PSI's Young Irish Psychologist of the year 1994. He received this award for his research on the relationship between developmental automaticity and intelligence. Michael was also winner of the Gold Medal Award in 1st, 2nd and 3rd Arts. Michael traveled to the U.S. after his undergraduate, where he spent a year working in a Brain Injury clinic as a life skills trainer. He returned the following year to accept a PhD fellowship award at NUI, Galway. His PhD topic was 'A critical analysis of Generalized Slowing and Common Cause Models of Ageing' (NUI, Galway, 2000). He continued his research in the field of ageing cognition as a postdoctoral researcher at the University of Toronto where he worked with Lynn Hasher on the relationship between circadian arousal and learning in younger and older adults ( Experimental Ageing Research) and with Fergus Craik on the impact of attention switching on memory in younger and older adults ( Experimental Ageing Research). Michael returned to Ireland to work as a postdoctoral researcher at Trinity College Dublin. Working with Brian Lawlor and Ian Robertson he secured HRB funding for a research project that examined the relationship between event-related potential (ERP) variability and ageing memory (published in Brain Research). During this period he also accepted a visiting scholar position at the University of Tübingen, Germany, where he worked with Jochen Kaiser on EEG coherence changes in Alzheimer s disease (published in International Journal of Psychophysiology). He was appointed to the staff in NUI, Galway in 2001. Michaels research interests have broadened over time, but he maintains a core focus on lifespan development grounded in the philosophical framework of pragmatic systems science. Michael is currently working on his second book, which elaborates his developmental perspective. The book examines some of the problems and possibilities of human ageing and adaptation. The analysis is focused largely on adult development but is couched within a lifespan, evolutionary, ecological, and philosophical frame. The primary aim of the book is to further promote the synthesis of pragmatism and systems science in the field of psychological science. Specifically, there are forms of systems science rooted in pragmatism that focus on the design of problematiques that help individuals and groups to see the structure of problems and consider actions that will resolve problems. In the context of a discussion of emotional, cognitive, and social problems and possibilities, Michael will demonstrate the potential value of pragmatic systems science for those involved in the design of environments that impinge upon human ageing and adaptation. Michael has recently spent some time doing research at Harvard University (working with Kurt Fischer on EEG coherence and learning), Arizona State University (working with Alex Zautra and Mary Davis on resilience and mindfulness), Frankfurt University (working with Jochen Kaiser on EEG and ageing memory), and Aberdeen and Edinburgh (working with Roger Staff and Ian Deary on the role of the cerebellum in ageing cognition). Michael has published in the following broad areas: Systems Science and Integral Frameworks (in Systems Research and Behavioral Science); behavioral and electrophysiological aspects of executive control, learning and memory ( Experimental Ageing Research; Brain Research; International Journal of Psychophysiology; Cognitive Brain Research; Neuropsychobiology; Brain Topography); Physical activity and ageing cognition ( Aging, Neuropsychology, and Cognition; International Journal of Human Ageing and Development); Emotion, Personality and Cognition in younger and older adults ( Psychology and Aging; Experimental Ageing Research); Emotion and cardiovascular responding ( Biological Psychology; International Journal of Behavioral Medicine); The cerebellum and aging cognition ( Cortex); Positive Psychology ( The Journal of Positive Psychology); Critical Thinking and Education ( Educational Research and Reviews; Thinking Skills and Creativity); Argument Mapping ( Metacognition and Instruction; Thinking Skills and Creativity); Chronic Pain ( PAIN; European Journal of Psychological Assessment); Spirituality ( Nova Science Publishers; Thinking Skills and Creativity); and Mindfulness ( The Irish Psychologist). Michaels first book, The culture of our thinking in relation to spirituality, examines the problems faced by scientists as they attempt to understand spirituality. The book considers the way different worldviews and different philosophical perspectives can influence the models of spirituality we build. The book has received positive reviews from Ellen Langer (Harvard University), Alex Zautra (Arizona State University), Peter Coleman (Southampton University), and Brick Johnstone (Missouri University). Michael is also a member of the European Science Foundation (ESF) Steering Committee for European Research Network for Investigating Human Sensorimotor Function in Health and Disease (ERNI-HSF), Co-Director of the Structured PhD in Perception, Cognition and Action, Co-Director of Structured PhD in Learning Sciences, and co-leader of the Health and Well-being priority theme at the Whitaker Institute for Innovation and Societal Change, NUI, Galway. Michael writes a blog for Psychology Today and he can be found on Twitter and Linkedin. (2010) The Culture of Our Thinking in Relation to Spirituality. (2012) Overcoming Barriers to Well-Being in Ireland: Collective Intelligence Conference Report. 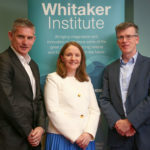 (2013) Wellbeing in Ireland  Designing Measures and Implementing Policies: Collective Intelligence Conference Report. (2014) g in Galway City  Overcoming Barriers to Well-Being in Galway: Collective Intelligence Conference Report. (2014) Sea for Society Issue Report  Leisure and Tourism, D2.3: Six Issue reports analyzing the results of the Consultation Process by issue. (2014) Sea for Society Issue Report  Energy, D2.3: Six Issue reports analyzing the results of the Consultation Process by issue. (2014) Sea for Society Issue Report  Transport, D2.3: Six Issue reports analyzing the results of the Consultation Process by issue. (2014) Sea for Society Issue Report  A Place to Live, D2.3: Six Issue reports analyzing the results of the Consultation Process by issue. (2014) Sea for Society  Issue Report  Human Health, D2.3: Six Issue reports analyzing the results of the Consultation Process by issue. (2014) Waves of Change: Collective Design for a Sustainable Marine Ecosystem  EU Report D2.4. (2014) Q-Tales: Assessment and Evaluation Report  2nd Milestone. (2016) Route to PA: Year One User Report. (2016) oute to PA: Analytical Framework and Initial Scenarios on Open Data and Transparency. (2016) Route to PA: State-of-the-art Report and Evaluation of Existing Open Data Platforms. (2016) Route to PA: User stories on Open Data and Transparency. (2016) OpenGovIntelligence: Ethics Policy (65 pp). (2017) OpenGovIntelligence: Evaluation results (71 pp). (2017) Route to PA: Interactive Activities in Open Data Use. (2017) Route to PA: Research Report Second Year. (2014) Wellbeing in Galway City - Overcoming Barriers to Well-Being in Galway: Collective Intelligence Conference Report. (2014) Aerobic and cognitive exercise study (ACES): pilot study in Ireland. (2011) On the Role of the Cerebellum in Aging Cognition. (2005) Complexity of affect and optimism: The effect of stress and trait anxiety. (2005) Learning curves of younger and older adults in the morning and evening. (2017) Collective Intelligence in the Holocene: 7. (2017) Collective Intelligence in the Holocene - 6. (2017) Collective Intelligence in the Holocene - 5. (2017) Collective Intelligence in the Holocene - 4. (2017) Collective Intelligence in the Holocene - 3. (2017) Collective Intelligence in the Holocene - 2. (2017) Collective Intelligence in the Holocene - 1. (2017) A Quantum Leap for Literacy?. (2017) Intelligence, Education, Personality, and Social Mobility. (2017) Interdisciplinary Education and the Student Voice. (2016) Exercising Our Freedom and Intelligence: Part 9. (2016) Exercising Our Freedom and Intelligence: Part 8. (2016) Creating eBooks for Children - Let's Do It Together!. (2016) The City Environment and Happiness Across the Lifespan. (2016) Exercising Our Freedom and Intelligence Part 7. (2016) Exercising Our Freedom and Intelligence Part 6. (2016) Exercising Our Freedom and Intelligence Part 5. (2016) Exercising Our Freedom and Intelligence Part 4. (2016) Exercising Our Freedom and Intelligence Part 3. (2016) Exercising Our Freedom and Intelligence Part 2. (2016) Exercising Our Freedom and Intelligence Part 1. (2016) Cultivating a Passion for Prevention. (2016) Does Mindfulness Enhance Critical Thinking?. (2016) What are the Key Dispositions of Good Critical Thinkers?. (2016) Exergaming: Playing Video Games While You Exercise. (2015) Facebook and the Fear of Missing Out (FoMO). (2015) The Adaptive Functions of Music Listening. (2015) Mathematics Fluency Training - It Works!. (2015) Work Hours, Work-Life Conflict, and Well-Being in Academics. (2015) Mindfulness for Chronic Pain. (2014) The Tenth Level in the Evolution of Natural Entities. (2014) A Student-Centred Conceptualisation of Critical Thinking. (2014) Making the World a Fitter Place, One Brain at a Time. (2014) Dancing With Your Baby. (2013) Pursuing the Good Life: Reflections on Positive Psychology. (2013) Starting Slow and Recovering Fast. (2013) Approaching Power with Humility and Wisdom. (2013) Love at Any Age. (2013) Learning Together and the Challenge of Collaboration. (2012) Understanding Intuition and How the Mind Works. (2012) Cultivating Creativity in the Classroom. (2012) Critical Thinking and Real-World Outcomes. (2012) Openness to Experience and Intellectual Ability. (2012) Mindsight: The New Science of Personal Transformation?. (2012) Beyond Revenge: The Evolution of the Forgiveness Instinct. (2012) Designing Our Childrens Future. (2013) Understanding intuition and how the mind works. Review of The invisible gorilla and other ways our intuition deceives us, by Chabris, C. and Simons, D.
(2013) The subtle (and not so subtle) mind. Review of, The righteous mind: Why good people are divided by politics and religion, by Jonathan Haidt. (2013) Nurturing creativity in the classroom. Review of R.A. Beghetto and J.C. Kaufman (Eds), Nurturing Creativity in the Classroom. (2012) The Tell-Tale Brain. Review of V.S. Ramachandran The Tell-Tale Brain: A Neuroscientists Quest For What Makes Us Human. (2011) The Empty Landscape: A critical analysis of Sam Harris book, The Moral Landscape, in light of the requirements of systems science. (2011) Designing Our Childrens Future. Review of Reynolds, A.J., Rolnick, A.J., Englund, M.M., and Temple J.A. Childhood Programs and Practices in the First Decade of Life: A Human Capital Integration. (2011) Creative Model Construction in Scientists and Students: The Role of Imagery, Analogy, and Mental Simulation. Thinking skills and creativity. (2011) The long road to strength. Review of Sheldon, K.M., Kashdan, T.B. and Steger, M.F. Designing Positive Psychology: Taking Stock and Moving Forward. (2011) The Moral Landscape: How science can determine human values. (2010) Action Drivers. Review of Motivation and Action, Edited by Jutta Heckhausen and Heinz Heckhausen. (2010) A secure base. Review of Mikulincer & Shaver, Attachment in adulthood: Structure, dynamics, and change. (2010) FACES in the flow of time. Review of Siegel, D. Mindsight: The New Science of Personal Transformation. (2010) Mindful Health and the Power of Possibility. (2010) The Evolution of the Forgiveness Instinct. (2009) Review of Critical Thinking in Psychology, edited by Sternberg, R.J., Roediger, H.L. & Halpern, D.F. Cambridge University Press. (2009) Implementing Intelligence. Review of, Bach, J. Principles of Synthetic Intelligence, PSI : An Architecture of Motivated Cognition. (2009) Attending to the Environment. Review of, Schaie, K.W., Abeles, R.P. Social Structures and Aging Individuals: Continuing Challenges. (2009) Critical thinking in psychology. (2008) Intuition. Review of, Sadler-Smith, E. Inside Intuition. (2008) The great weave of emotional life. Review of, Corrigan, J. (Ed.) The Oxford Handbook of Religion and Emotion. P.
(2008) Between a rock and a hard place. Review of Roberts, M.J. (Ed.) Integrating the Mind: Domain general versus domain specific processes in higher cognition. (2008) Executive Function. Review of, Anderson, V., Jacobs, R. and Anderson, P.J. Executive Functions and the Frontal Lobes: A Lifespan Perspective. (2008) The Stuff of Thought. Review of, Pinker, S., The Stuff of Thought. (2007) Review of Stewart, M. The Courtier and the Heretic: Leibniz, Spinoza, and the fate of God in the modern world. P.
(2007) Advancing the way of the positive psychologist. Ong, A.D. and van Dulmen M.H.M. The Oxford HanPsychCRITIQUES Contemporary Psychology: APA Review of Books. (2007) The point below. Review of Peterson, C. A Primer in Positive Psychology. (2007) Thinking about thinking. Review of Bialystok, E., & Craik, F.I.M. (Eds). Lifespan Cognition: Mechanisms of Change. (2006) When I'm older, it will be so great. Review of Malcolm L. Johnson, in association with Vern L. Bengtson, Peter G. Coleman, and Thomas B.L. Kirkwood. The Cambridge Handbook of Age and Aging. (2006) Infusing life with value and understanding. (2005) The way of the positive psychologist. Review of William C. Compton Introduction to positive psychology. (2005) Zautra's terror -- Thinking about emotions, stress and health. (2005) If only I were, then I am. Review of Ruth M.J. Byrne The rational imagination. (2005) The choice of character. Review of Lapsley, D. L. and Power, F. C (Eds) Character psychology and character education. (2006) Cultivating thought-full and creative thinkers: A comment on quality merging Costa with Claxton et al. (2012) The Application of Interactive Management to the Problem of Knowledge Transfer and Innovation in the Marine Sector. (2010) Social Networks and Interactive Management: interdependent problems and interdependent solutions. (2009) Structural Equation Modelling of Brain-Behavior Relations. (2009) The Role of the Cerebellum in Ageing Cognition. (2006) Preparing for Exams. The mind, body, and soul group, NUI, Galway. (2005) Successful Ageing. The active retirement associations of Galway City. (2005) Dialogue and Transparent Rhetoric. (2005) The Generic Art of Judgement. (2002) Cognitive and Emotional benefits of exercise may mediate fall reduction. (2012) Overcoming Barriers to Well-being in Ireland. (2009) Enlightened happiness and pragmatic systems science & positive psychology meets Colin Feltham's anthropathology thesis. (2008) On Spirituality: Deconstructing, Grappling, and Moving in the Field of Others. (2008) On Spirituality: Free Movement. (2006) Grappling with gene-culture co-evolution. (2006) Expanding awareness of dynamic system function: The potential marriage of RFT and Skill Theory. (2005) Disputing the undisputed facts - a constructive reply to Hughess Presidential Address to PSI. (2013) Wellbeing in Ireland  Designing Measures and Implementing Policies, Collective Intelligence Conference Report. (2012) Wellbeing in Ireland  Designing Measures and Implementing Policies, Collective Intelligence Conference Report. Doctoral Supervision CommitteesAoife Mc Tiernan: The Effects of Fluency Instruction on Academic Repertoires across Multiple Populations.Rachel Carey: RISK: Comms - The use of fear appeals as persuasive communication in road safety campaigns. Aoife Kervick: RISK: Monitor - Using mobile phone application as in-vehicle technology to monitor driving behaviour.Corinna Stewart: Developing perspective taking skills in adults with deficits in perspective taking abilities and adults with schizophrenia using training protocols based on a modern behavioural account of human language Avril hand: Actions speak louder than words: Investigating disordered decision making using action dynamics. Mary Higgins: Applied Learning in a Further Education Context.Gabriel Burke: RFT and Educational Technology for Reading Comprehension.